The New England Patriots recently raided Owner Bob Kraft’s house in celebration of their fifth Super Bowl victory. For some players, this was their first opportunity to get a Super Bowl Ring. For a couple of other players, they were finally collecting their second rings in three years, an impressive achievement. When you look at the conversations surrounding online sportsbook odds for Patriots games, it is easy to see who everyone credits for New England’s recent success. Head Coach Bill Belichick is a pretty popular name amongst New England fans. And the team’s dominance in the most recent season has to be imputed to the style of play he has nurtured amongst his players, not to mention his insistence on discipline. The last seventeen years have seen Bill give his mind, soul and body to New England, and the numerous wins the team has accumulated over the years are a testament to his capabilities. Anyone suggesting that New England would have climbed to its present heights without Bill Belichick’s presence and experience doesn’t know what they are talking about. Of course, one would be foolish to boast about New England’s successes without making mention of Tom Brady. The five Super Bowl Rings to his name, not to mention the two MVP trophies in his collection are a testament to the astounding talent and skill of what might be the greatest quarterback in the history of the sport. If you were to take stock of all that the New England Patriots have achieved, you couldn’t be faulted for elevating Brady and Belichick as the single most important aspects of the team, responsible for driving them to achieve such heights. However, one typically overlooked element which has been instrumental to the success of the Patriots has to be Robert Kraft. Kraft has made it his goal to give the Patriots the most conducive environment possible for their success. When Kraft purchased the team all those years ago, he could have refurbished their old stomping ground of Foxborough. However, he chose to knock it down in favor of building the Gillette Stadium, a completely new facility that has not only hosted Patriots games but which has become a staple amongst organizers looking for venues for concerts and sporting events of one sort or another. In building malls and hotels in and around the stadium, Kraft has, over the years, allowed the value of the team to skyrocket. And when Kraft wasn’t pouring money into the team, he was giving his voice to causes that affected its players, this including driving rule changes that benefited the game and even inserting firm policies against domestic violence and all manner of criminal behavior. 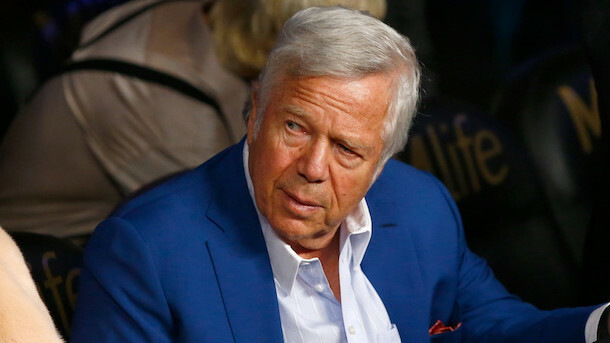 Robert Kraft is the owner most franchises wish they had. Rather than just another CEO sitting in his ivory tower and enjoying the financial fruits of his investment, it isn’t uncommon to find Robert Kraft in the locker rooms, interacting with the players of his team and creating strong and lasting relationships with the men who represent his brand on the field on a regular basis. Kraft hasn’t merely given the Patriots every tool they need to succeed; he has redefined the concept of what an owner of a football franchise should be.